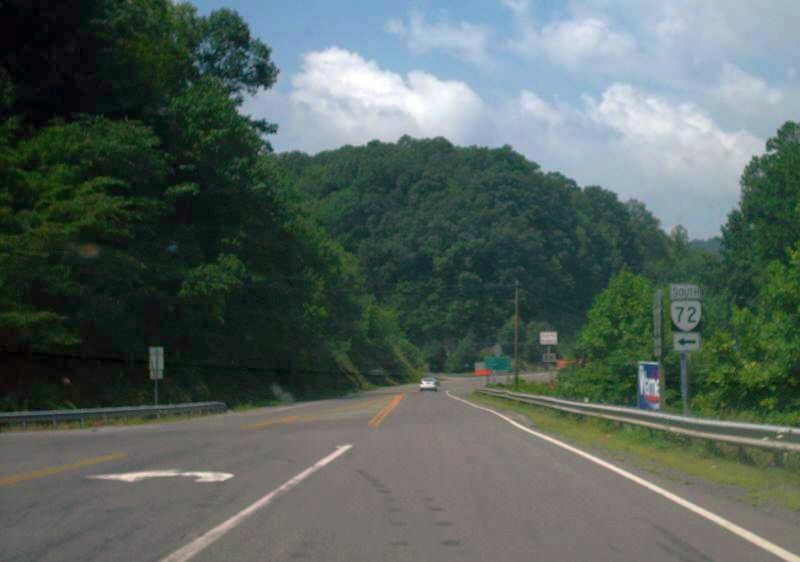 VA 72 approaching VA 71. Photo by Mapmikey, taken August 1, 2008. 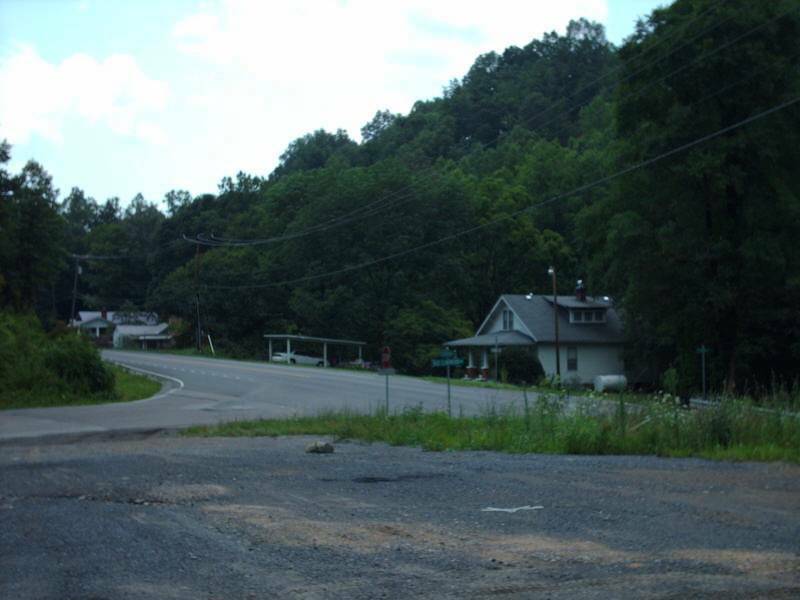 VA 72's southern terminus at VA 71. Photo by H.B. Elkins, taken July 8, 2005. The view from VA 71 northbound. Photo by H.B. Elkins, taken July 8, 2005. 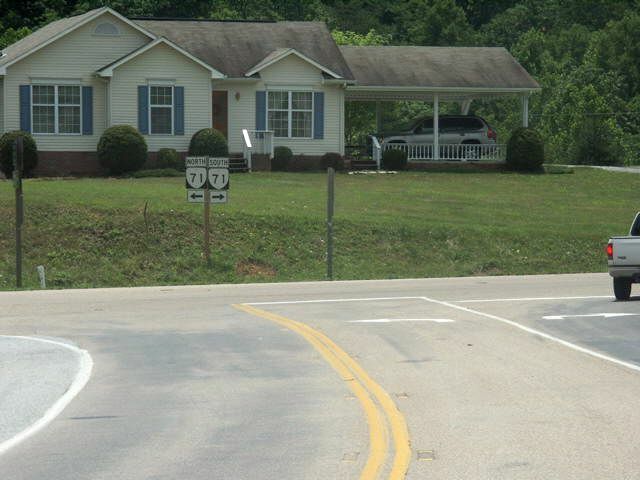 VA 72's northern terminus at a somewhat improved VA 83. Photo by Adam Froehlig, taken May 6, 2003. VA 83 west at VA 72. 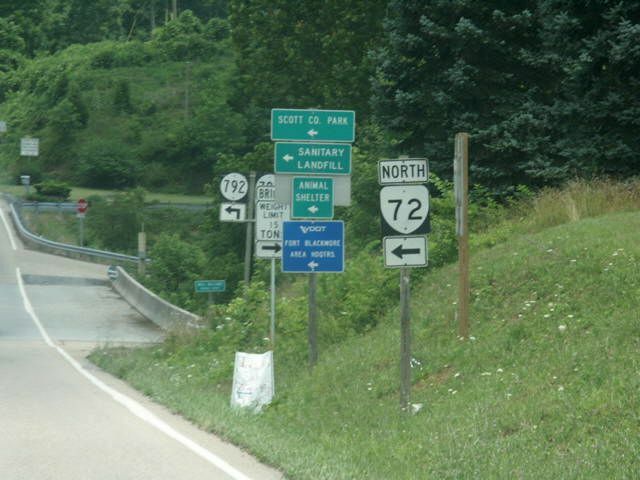 VA 72 has ended here since 1973. Photo by Mapmikey, taken August 1, 2008. 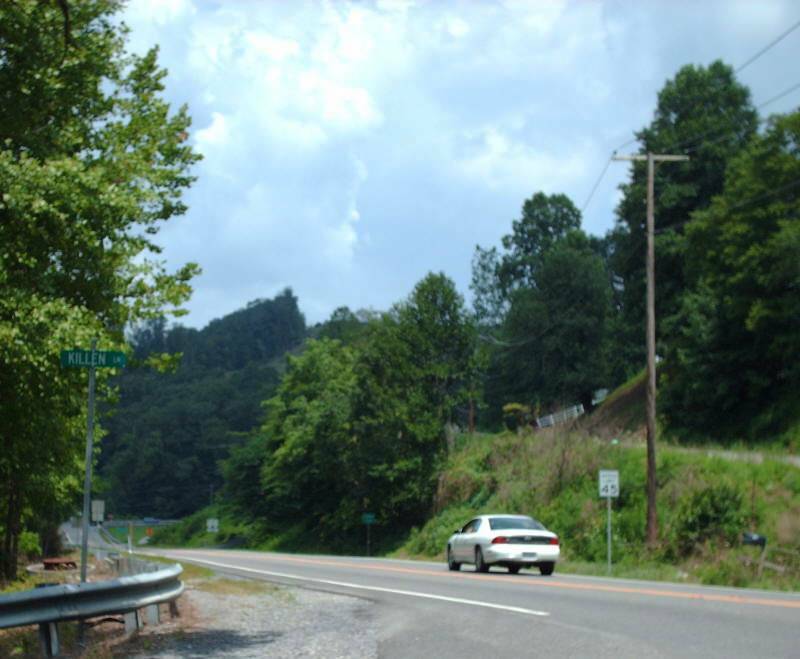 Beginning down VA 72. Photo by Mapmikey, taken August 1, 2008. 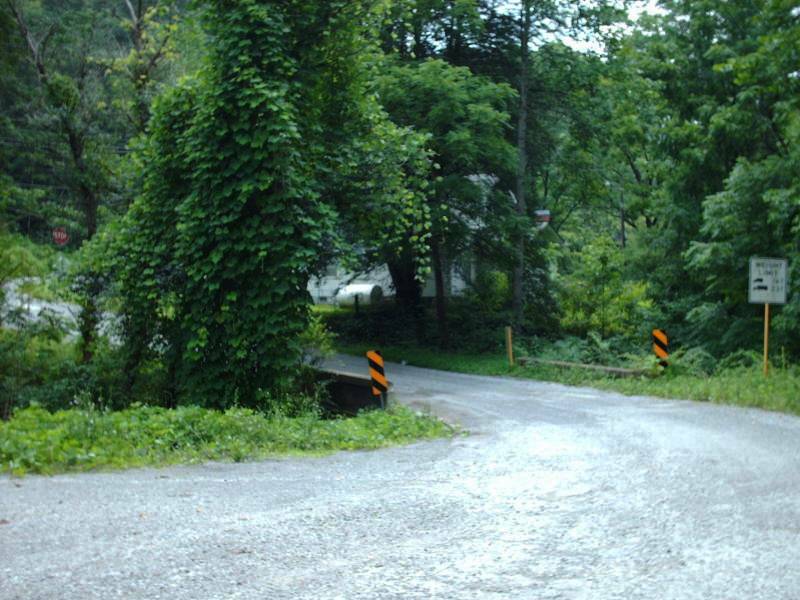 Looking north at the last 1/4 mile of VA 72 from where VA 83 used to be. Photo by Mapmikey, taken August 1, 2008. From 1933-73, VA 72 ended at what is today SR 765 which is VA 83's original routing. 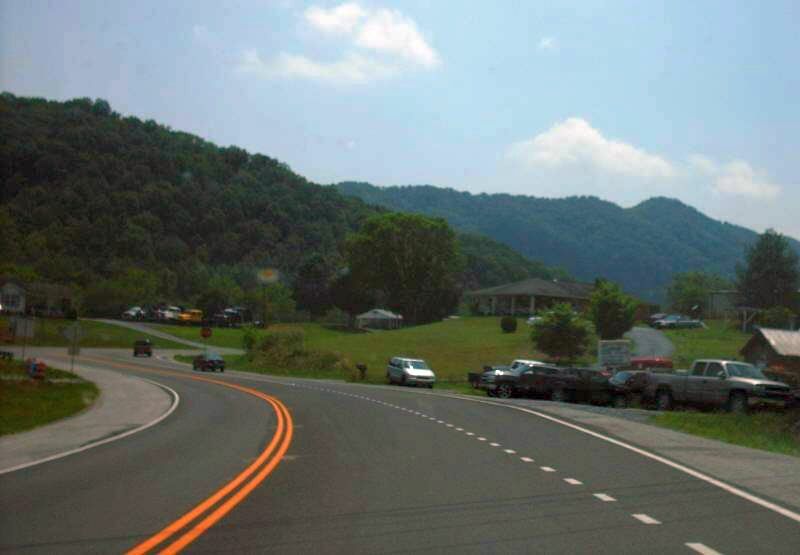 This is looking south on VA 72 where it began. 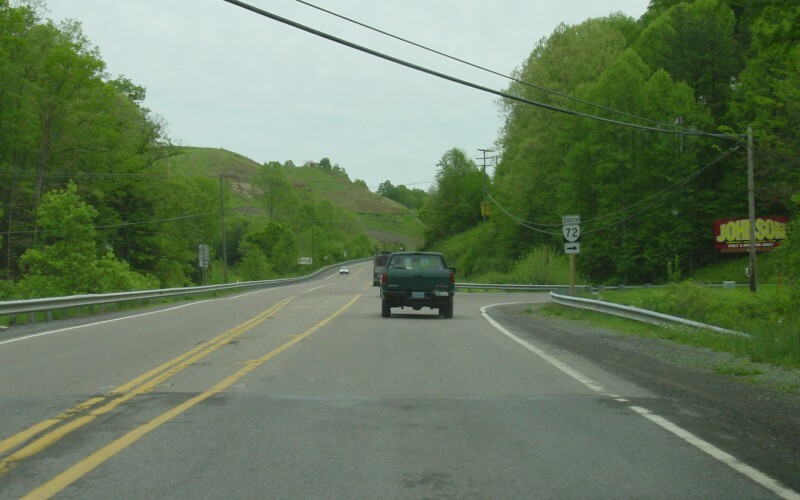 Old VA 83 eastbound is behind and leftward. Photo by Mapmikey, taken August 1, 2008. 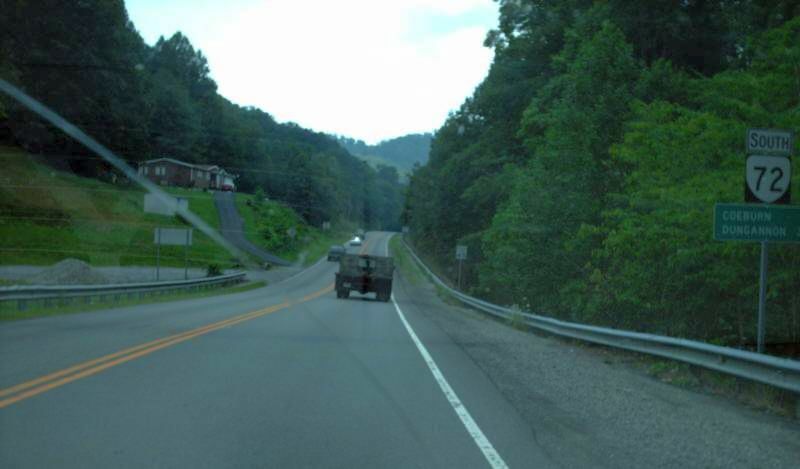 This is the view of old VA 83 east coming to VA 72. Photo by Mapmikey, taken August 1, 2008.